GUSDUGGER TINTYPE PHOTOGRAPHS – Birmingham, Ala.
To inquire about rates or schedule a portrait sitting, email INFO@GUSDUGGER.COM. Get announcements on special events, exhibitions, and upcoming open studio times on our blog or follow us on INSTAGRAM + FACEBOOK. GUSDUGGER TINTYPE PHOTOGRAPHS is a collaborative project by Birmingham-based photographers CARY NORTON + JARED RAGLAND. Specializing in the 19th century wet-plate collodion tintype process and using vintage large format cameras, hand-crafted chemistry and a mobile darkroom, GUSDUGGER began documenting the people and landscapes of Alabama in 2016. The Gus Dugger Saloon was a bar and tobacco shop located at 2114 1st Ave N in Birmingham during the 1880's. 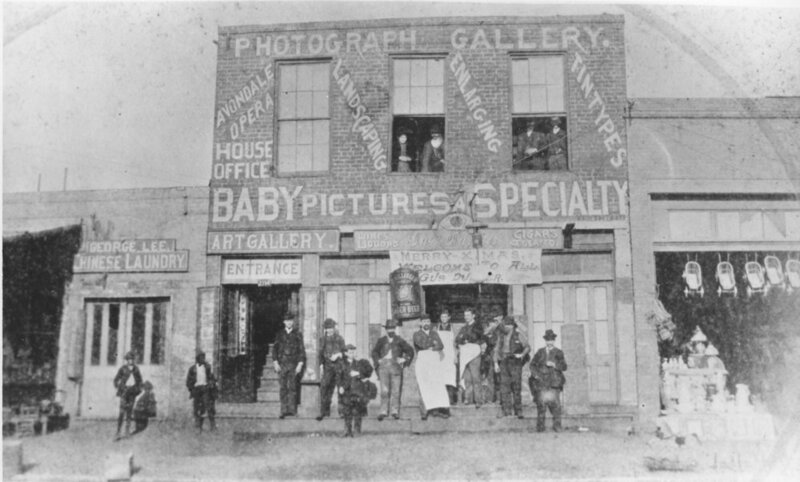 The upper floor of the two-story brick building was occupied by a photographer's studio, and signage on the facade advertised landscaping, enlarging, and tintypes, as well as an art gallery.